It’s a similar sentiment to the controversial one Matt Damon expressed on Project Greenlight that all hiring should be colorblind and focused solely on talent. In their statements neither Damon nor Cotillard address the fact that report after report has found such bias in Hollywood hiring that even the ACLU has requested a federal investigation into the matter. So her problem seems to be with the word itself, not with its tenants of equality. But as Joss Whedon learned after suggesting we simply change the word “feminist” to something less controversial, the female-focused word is designed to point out which group needs the most help at the moment not to assert that women should dominate men or exist separately from them. And since Cotillard wants to fight for women’s rights, she’s still espousing feminist beliefs even if she rejects the term itself. Unless, of course, she’s cool with the fact that Hollywood actresses get less screen time, less money, fewer roles as they age, and ridiculously old love interests. You can read the full interview over on The Evening Standard. 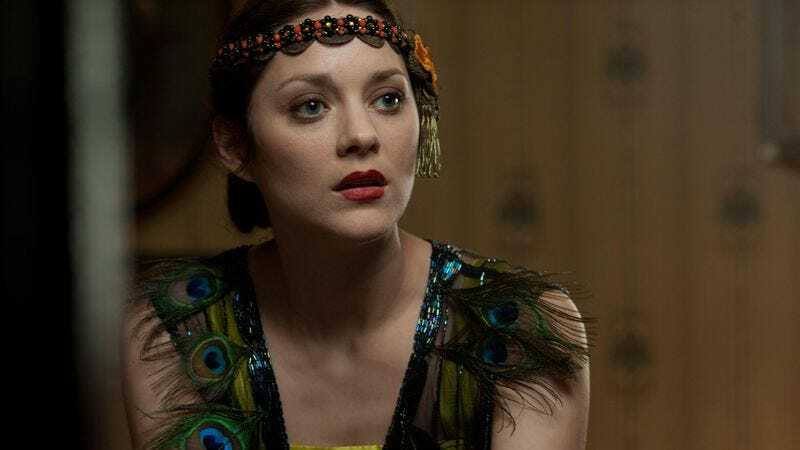 It also touches on Cotillard’s relationship with the fashion industry and her upcoming role in Macbeth, although she likely won’t be getting quite as much attention for those quotes.